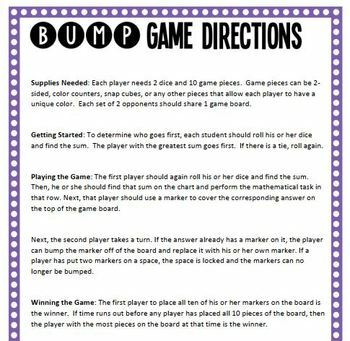 This item includes 2 Bump Games for Box Plots, so you can differentiate according to your students' needs. The 1st involves simply identifying parts of the 5-figure summary (lower extreme/minimum, lower quartile, median, upper quartile, upper extreme/maximum). 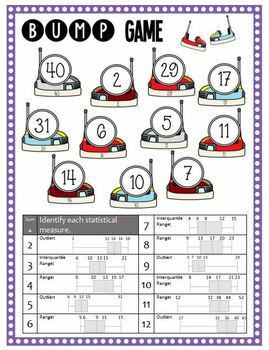 The 2nd involves analyzing the variability (range, interquartile range, and outliers). 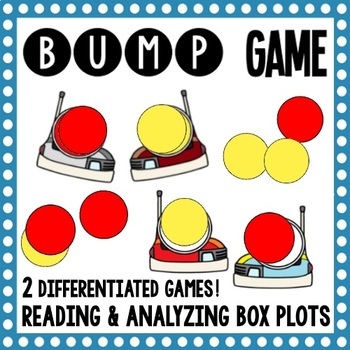 For more fun with this same topic, check out the Box Plot Bundle!